At the Toronto Tea Festival I stumbled across the Basilur Tea booth. Their tea was very reasonably priced, and packaged in beautiful tins, so I figured I had to give it a try! I’m not usually a fan of black tea, but after smelling the most delicious blend, I couldn’t resist. 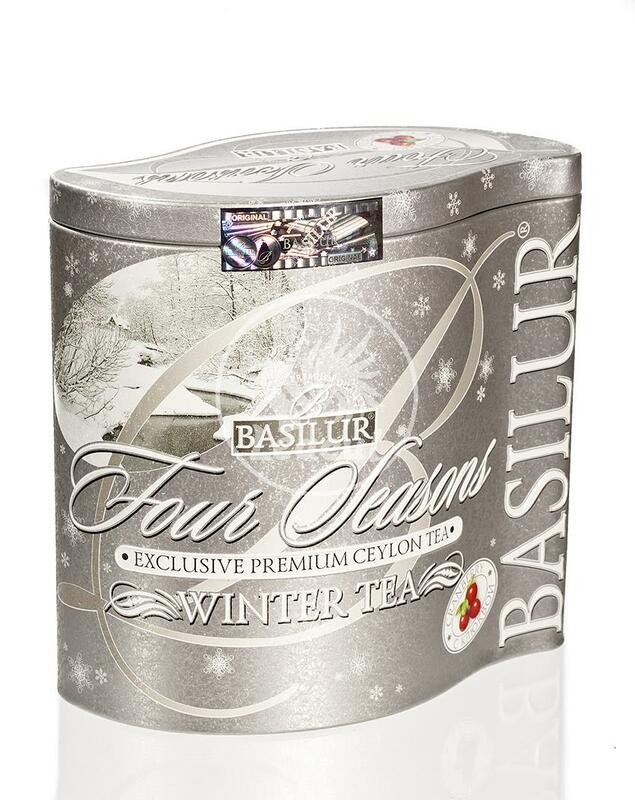 Winter Tea from the Four Seasons collection, an exclusive premium ceylon tea, features the beautiful flavours of cranberry. The cranberry stands on its own against the black tea and tastes delicious in the combination. Check out this wonderful tea at Basilur. I also picked up some Milk Oolong, one of my favourite tea flavours, that I am excited to try.